Please view upcoming events and latest news. Plus links to all church websites and details of regular local services. Welcome to The Shipley Christians Together Website. Here you will find information about what Christians in Shipley are up to and how you can get involved. You can find information about events coming up, news, service times, links to all the churches, and information about important ministries carried out in the Shipley area. Please look around and come back again to keep up to date with what God is doing in Shipley. Please click the button below to find out service times and locations at different churches in Shipley. Find out more about Jesus and the Christian Faith! 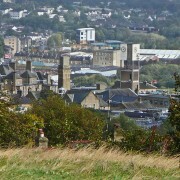 We are a group of Christians from around Shipley who meet monthly to Pray for the churches, peoples and needs of Shipley. All are welcome to join, and if you would like us to pray for you simply email us. You can also sign up for the neighbourhood prayer network. There are many different things going on in Shipley organised by Churches and Christians. Love Shipley is an ‘umbrella term’ for a lot of these activities including but not limited to the Bible stall, Cuppacare, Live@Costa, Open the Book, Shipey Food Project and Zephaniah Trust.